Forgiveness is the key to inner peace. While we are aware of this fact, we ironically continue to suffer with the act of forgiveness both towards others and ourselves. What is it about the life experience that seems so deeply real that we cannot let go of, and forgive? Have we become so deeply rooted in this temporary journey called life to see beyond the trials and tribulations that cause us to resent? We welcome you to join us for this short and powerful meditation with Cindy Paulos, and find a new meaning to forgive, to begin experiencing true inner peace this year. Leaving behind past resentments, moving into a seemingly real new year, filled with all of the blessings that this life has to offer. May we find the spiritual perspective to truly look beyond our self, and what seems to be so important in this life that causes our rigidness and spite. On behalf of all of us at Spiritualists International Magazine, and the Light Body Travelers Society, may 2017 be your new year of highest spiritual achievement yet! Three Quick Important Messages From The Magazine! 1. Your comments really matter in this community, so speak your mind below. 2. Should any ad above or beside this article authentically catch your attention, be sure to click and explore it. Our partners and affiliates through Google are placed here for your benefit and convenience. Looking into these ads is a wonderful way to keep the lights on at Spiritualists International Magazine. 3. We invite you to look deeper, and peruse what the L*B*T offers its Advanced and Unlimited Members by clicking the “Join Us” tab, or right here! Dr. Cindy Paulos is a minister, writer, speaker, teacher, artist, composer, lyricist and videographer, as well as a radio and TV personality. Cindy has been writing inspired poetry and words of wisdom for most of her life. She began her spiritual connection at the age of 12, which expanded into a profound experience of Light at age 15. Since then, she has received inspiration and guidance from her spiritual source through messages and song. She has produced a CD series of her original poems set to music, entitled Inspirational Messages By Cindy. Producer and host of hundreds of radio, television and live shows, and a renowned radio talk show host for over 30 years, Paulos now hosts the longest running talk show on Maui, interviewing celebrities, political leaders and spiritual teachers. Her newest venture is the founding of a non-profit, The Metaphysical Media Network, which will feature a 24/7 inspirational internet radio station. 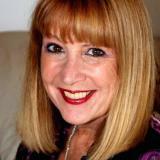 She will have Metaphysical talk and music and shows available for people to use to share their messages. This unique Tactical Duty Kilt is a fully functional utility kilt made of highly durable polyester/cotton blend with Rip Stop weave and DuPont Teflon fabric protector for stain resistance and easy maintenance. This is an awesome blog.. I really liked it..